Below are excerpts from field intern testimonials. More internship perspectives can be found here. 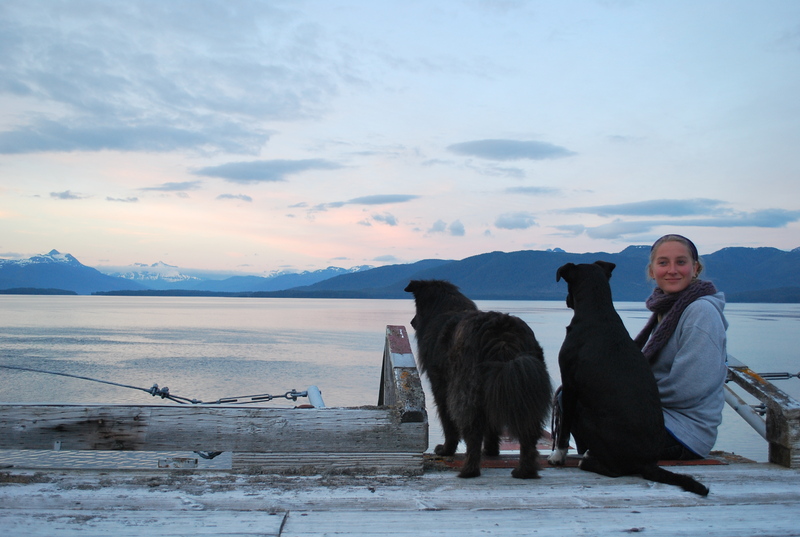 “I spent a month in the Alaskan wilderness under Miche’s supervision, and it was an experience I will never forget. To this day, 4 years later, I still think about my time working with Miche. She led myself and 3 other interns on a research project on Humpback whales, which we conducted from a lighthouse on a small island. I could not have asked for a better Project Leader, or a more understanding and patient friend in the lighthouse. Miche handled every problem with grace and levelheadedness. There were many instances (like when we had to carry Noble Steed, our 400-pound skiff, through the intertidal zone) that Miche’s leadership qualities were paramount for our success. Apart from being a great field leader Miche also managed the Lighthouse and found time to tell us intriguing stories about Alaska. We all requested copies of her stories so we could pass them on. “The moment we stopped paddling and rested our oars on the kayaks that we were immersed in the most beautiful chorus we have ever heard. Michelle and I had spontaneously grabbed kayaks to watch the sunset after a long day of fieldwork and found ourselves in the mecca of marine life. There were low, hollow breaths of humpback whales between dives; fast, forceful breaths of a pod of killer whales as they were transiently passing the lighthouse; short, whistling breaths of the sea lions playing in the kelp; and short puffs of the porpoises as they passed. This chorus of life I eavesdropped on in the middle of Fredrick’s Sound was one of the defining moments in my career in marine biology, and wouldn’t have been possible without the dedication of Michelle Fournet and the Alaska Whale Foundation. “My summer working at Five Finger Lighthouse exceeded far beyond my greatest expectations. There are few places in the world that can compare with Southeast Alaska, and even fewer experiences that come close to living in a remote lighthouse. From, sea kayaking, cooking fresh fish, enjoying great company, to observing some of the most fantastic animals on the planet, there was never a dull moment.